This is the essential greek tee! Double letters stitched onto a your tee. 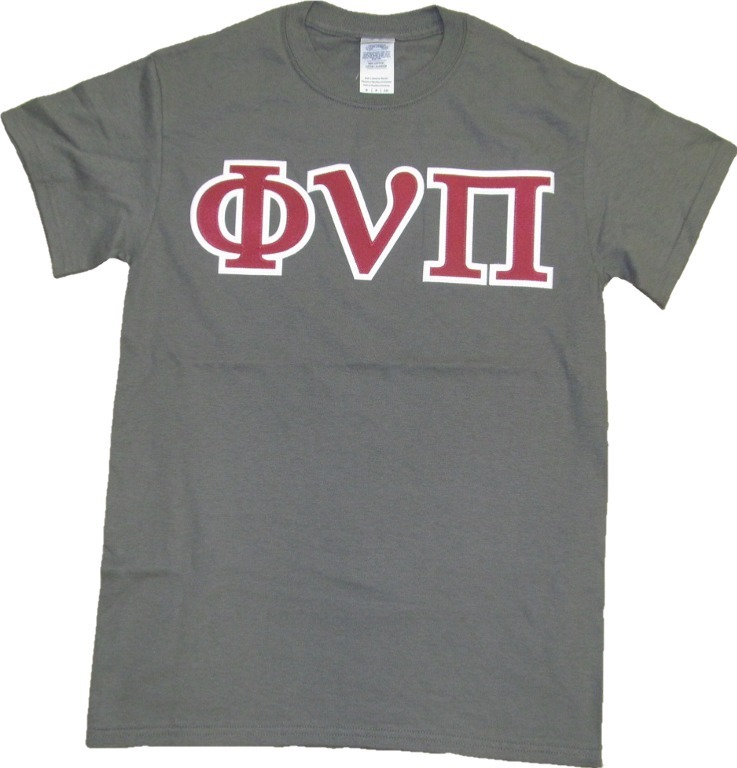 You choose all the colors AND choose Kappa Alpha Psi or Phi Nu Pi letters. Add a line of custom embroidered lettering under your greek letters or upgrade for colder weather to a long-sleeve tee or sweatshirt! Call for color availability for upgrades on sizes above 3X. Shown bottom: K A Psi Letters: Red tee with red letters and white letter backgrounds. White Kappa tee has white letters and red letter backgrounds.